Dispatches reveals the tragic consequences of first cousin marriage in Britain.. This powerful documentary reveals the tragic health problems suffered by children born within first cousin marriages and explores the controversy surrounding this cultural phenomenon. 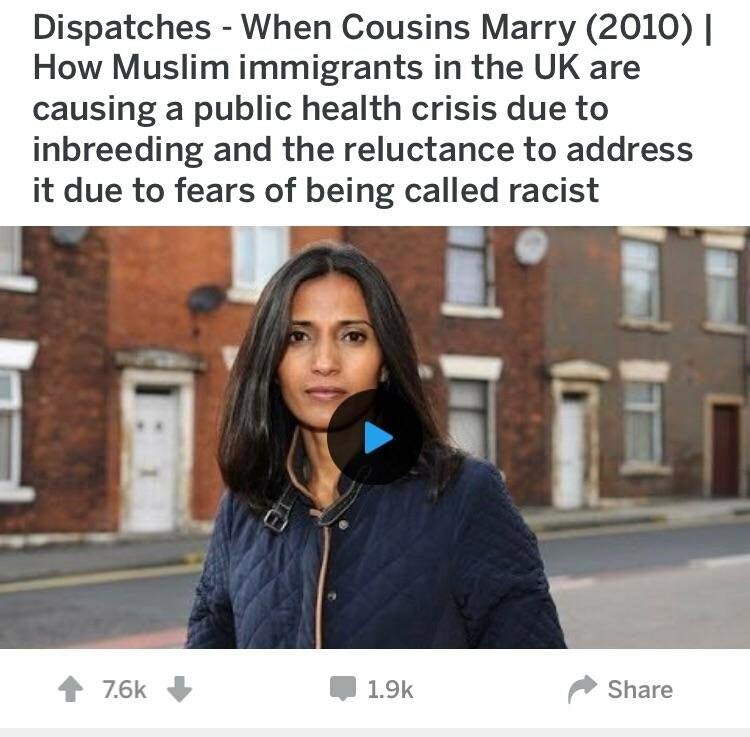 A disproportionate number of rare recessive genetic disorders occur amongst those of South Asian and especially Pakistani descent and the programme investigates the science, political and social consequences of marrying your first cousin.